Soft release February 20, 2013-March 1, 2013 via Bandcamp. Full release in April 2, 2013 on Limited Fanfare (LFR-016). Cassette tape includes 10 exclusive bonus tracks on side two. Digital from Google Play, iTunes. Physical from Bandcamp (Cass); Limited Fanfare Shop (Cass); Amazon (CD-R). 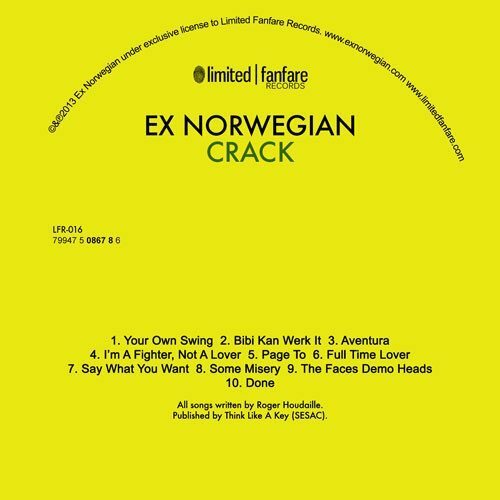 Ex Norwegian is easily one of the best pop bands of all time…and Crack is yet another resounding success. This is the band’s fourth full-length release and it’s full of the sinfully catchy upbeat pop/rock that their fans have come to love…and crave. We’ve played this band’s last three albums completely into the ground…and you can bet your best Sunday booties that we’ll be doing the exact same thing with Crack. 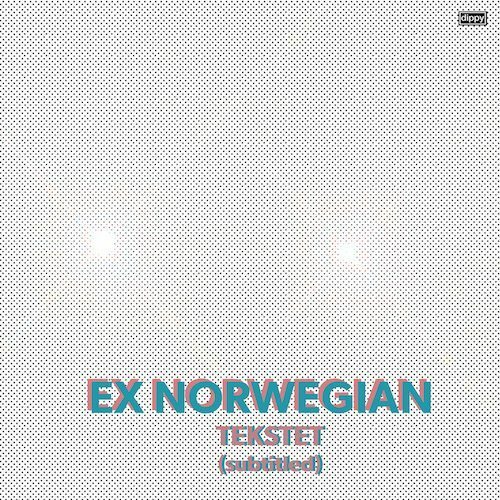 It’s odd…while Ex Norwegian songs actually sound similar to hundreds or even thousands of other classic pop artists…in the end there are some strange qualities that make the songs sound totally unique and vibrant. 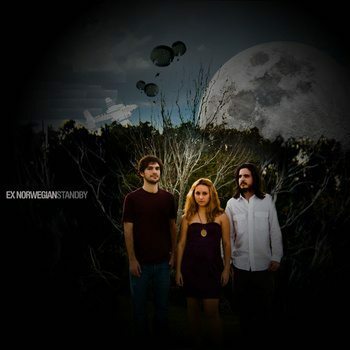 The main band members are Roger Houdaille (guitar, vocals), Michelle Grand (vocals), and Giuseppe Rodriguez (bass). These songs are the most polished and accessible that the band has recorded up to this point in time…and they retain the warm vibes that made us fall in love with the band’s debut album years ago. Houdaille is a songwriter of the highest calibre. The man seems to write an endless well of classic pop songs that will most certainly stand the test of time. As usual, there’s not a bad track on this album…but our own particular favorites include “Your Own Swing,” “Bibi Kan Werk It,” “I’m A Fighter Not A Lover,” “Say What You Want,” “Some Misery,” and “Done.” If you love guitar pop you should pick up every single one of this band’s albums. [We should mention that (at least for the time being) Crack is only being offered as a download.] 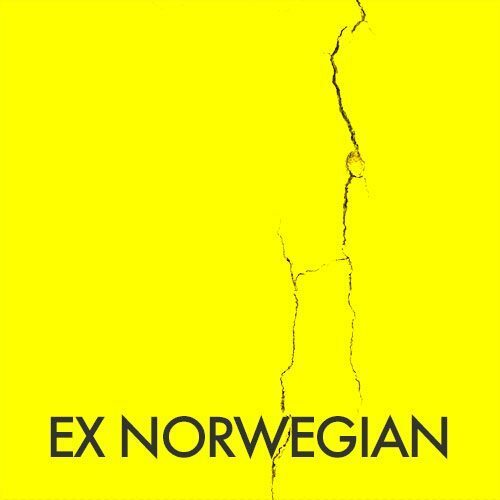 All Ex Norwegian albums truly are…the best. Brilliant and resilient…and HIGHLY RECOMMENDED. Top pick. 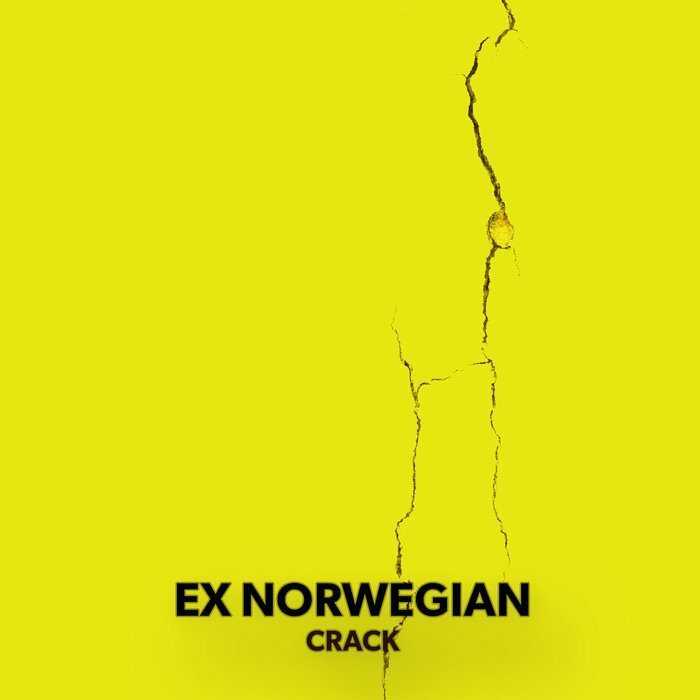 So a new year and a new Ex Norwegian album “Crack” or the difficult fourth album, came out of nowhere in a week of diligent work. It was picked up by Limited Fanfare Records who put it out April second digitally, and it features some leftover tracks and some new things which really were tweaked up demos. 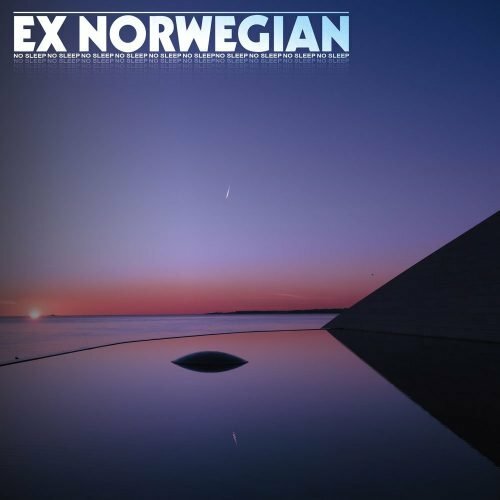 Ex Norwegian was founded in 2008 in Miami Beach by Roger Houdaille, disbanded in March 2011, and restarted by Houdaille in late 2011. Founding members Roger Houdaille (guitar, vocals) and Michelle Grand (vocals) are joined by Giuseppe Rodriguez (bass) to make up the core of the group. Live, they are augmented with a little help from their friends. “Your Own Swing” starts the proceedings with an upbeat and catchy guitar filled rocking pop song that has a bit of a nice edge to it and I loved the harmonious vocals. “Bibi Kan Werk It” has a lot of WEEZER overtones, especially in the vocals, and this mid-paced song also had a mid ‘90s sound, but it threw me for a loop when just over two minutes in, the song had a slowing down effect like when you stop a turntable that made me check my player. “Aventura” has soaring guitar playing with great leads, it’s kind of like a classic rock song with more pop and a hint of ‘70s keyboards that work together really well and is a highlight on the album. “I’m A Fighter, Not A Lover” has Grand taking over lead vocals and she has a fantastic voice, it has a sweetness that gives the song a new level of energy, the drumming and guitar playing really were outstanding on this song as well. “Page To” is a slower song that has some of the most inspired guitar playing on the album. The band really shows that they are capable of taking these tweaked up demos and giving them a life that just breathes and grows and has the maturity of a band that knows how to treat them. The playing has been stellar and the production has been clear, but not antiseptic, it still has a bit of a roughness and it keeps the pop from being sugary. “Say What You Want” is a very peppy and rocking duet that deserves to be played to death. “Some Misery” brings the feel and sound of the classics ‘70s power pop bands to mind and the memorable hook will keep you coming back for more, it was my favorite on the album. “The Faces Demo Heads” has an incessant beat and is a song that will get stuck in your head. Sometimes you get music sent to you that you hate, sometimes like, but I got lucky, I love this album. They really hit all of the buttons to make an outstanding album without caving in to anything trendy, but kept things at their own standards and made an album that needs to be in your collection. Roger Houdaille’s continues to take Ex-Norwegian [sic] in bold directions, but always keeping those hooks in mind. “Your Own Swing” is a pretty basic sing-along that warms you up, but he throws a perfect curve with “Bibi Kan Werk It” which is part Weezer and part Beach Boys including a terrific melodic chorus. “Aventura” has a bit more glam guitar, and the hook on “I’m A Fighter, Not A Lover” is even better with Michelle “Big Meech” Grand leading the vocals here. Then Roger struts in full Ziggy Stardust mode on “Full Time Lover.” With the unique harmony of Roger, Michelle and Giuseppe Rodriguez, the band is morphing into the America’s version of The Wellingtons. No real filler here, each tune has a strong beat and tries to experiment with unique sounds and like all great power pop this Crack can be just as addictive. “El reencuentro con una banda como Ex Norwegian suele ser normalmente como esa cita anual que uno anda impacientemente esperando, como esa carrera que quieres disputar una edición tras otra. Las sensaciones previas son excelentes y el resultado generalmente nunca decepciona. Con House Music, los de Miami no defraudan. Lo vuelven a hacer. La banda de Roger Houdaille son un valor seguro por el buen Pop, por las clásicas canciones de tres minutos que, sin dar tregua, siempre te dejan con ganas de más: puras joyas del mejor Power-Pop elaborado a la antigua, Pop de guitarras, sin demasiados aditamentos, algunos teclados aquí y allá; la energía y los hooks de guitarra como absolutos protagonistas” (TJB, Octubre, 2012).